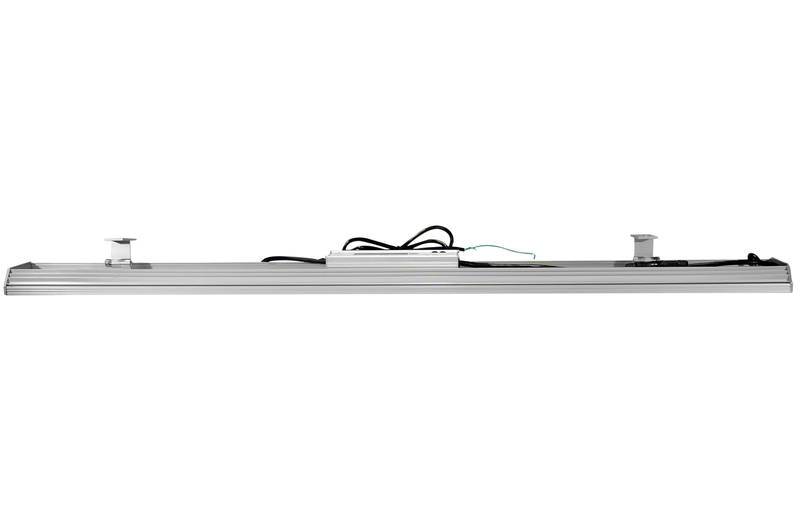 Larson Electronics has announced the release of a 160 watt integrated low profile LED light fixture that is a direct replacement for four foot, four lamp fluorescent light fixtures and designed to operate on 48 volts DC. 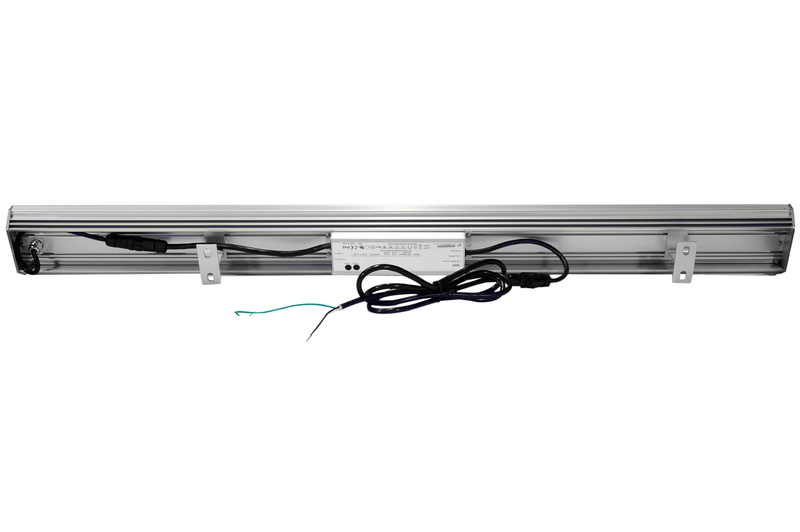 The GAU-48-160W-LED-48V from Larson Electronics is a general use high bay four foot LED integrated light fixture that provides 19,200 lumens of illumination in a 160° wide flood beam spread. This low profile, highly efficient LED light fixture is a direct replacement for existing four lamp T5HO fixtures, providing twice the lamp life, increased durability, and less energy consumption. This fixture is housed in an aluminum casing and the LED assembly is protected by a shatter resistant polycarbonate lens. 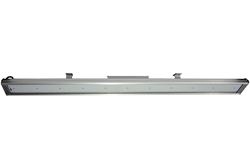 There is no ballast in this unit which reduces the overall weight and creates a slimmer profile. The integrated LED assembly has a 50,000+ hour service life, which results in extreme efficiency and greatly reduced maintenance costs. The solid state design of LED technology give this fixture superior resistance to damage from vibration, extremes in temperature, and a lamp life over twice that of standard fluorescent bulbs. The integrated heat sink allows for efficient heat dissipation, preventing the LEDs from overheating and keeping the overall temperature of the fixture relatively low. This integrated LED light fixture features two adjustable brackets, providing operators with an easy installation design. This unit can be surface mounted or hung from cable or chain and includes an adjustable mounting assembly. This unit operates on 48 volts DC and is supplied with a 10’ line-in cable with flying leads. The energy efficiency and longevity of LEDs make this light ideal for use in places requiring high bay illumination such as warehouses, malls, parking garages, and other similar environments. Larson Electronics produces an extensive line of LED light towers, portable distributions, explosion proof lights for hazardous locations, portable work lights and industrial grade LED area lights. You can view Larson Electronics’ entire line of lighting by visiting them on the web at Larsonelectronics.com. You can call 1-800-369-6671 to learn more or call 1-214-616-6180 for international inquiries.